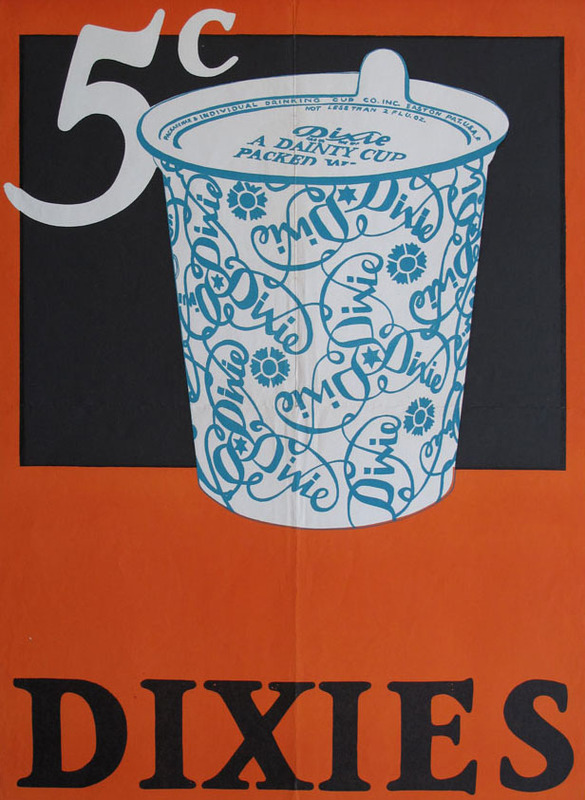 Documents the corporate history of the Dixie Cup Company and the role of its president, Hugh Moore (1887-1972), a pioneer in the paper cup and vending industry. Contains scrapbooks and other material about the paper cup business, including records created by Moore’s Individual Drinking Cup Company in New York City. The bulk of the material pertains to Moore’s business activities and several of the departments which operated under his direction after the company relocated its headquarters to Easton, Pennsylvania in 1921. In addition to correspondence there are reports, minutes, and financial records. Of particular interest are the rich sources on competitors in the cup business, including legal files on several patent disputes. The department files contain illustrated sales manuals and material documenting the advertisement and promotion of Dixie products, including its premium lid program. There are also photographs, lantern slides and a large collection of Dixie product samples. The Hugh Moore Dixie Cup Company Collection was donated to Lafayette College by Louise Moore Pine, Hugh Moore’s widow. The bulk of the records arrived in one installment at Skillman Library in April 1993. Several small gifts of Dixie cups have been added to the collection since then. The processing of this collection was made possible through generous support from Louise Moore Pine and the James River Corporation. Access to this collection by qualified researchers is without restriction. Photocopying and publishing from the collection are allowed, subject to the guidelines of the repository and the laws of copyright. Hugh Moore’s papers relating to his activities on behalf of international peace and population control are housed in the Seeley G. Mudd Manuscript Library at Princeton University. Compiled by Anke Voss-Hubbard. WordPress design by Alena Principato '15.